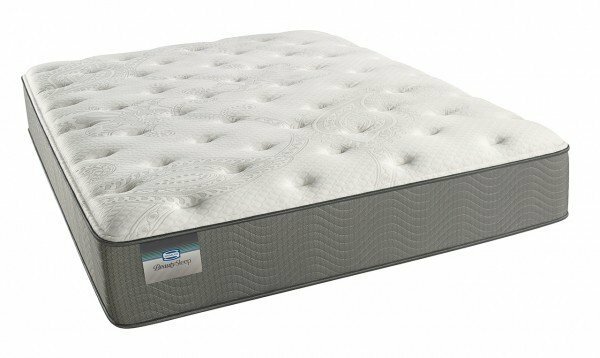 The Simmons Beautysleep Carter Plush Mattress offers a soft feel at a very affordable price. 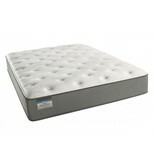 We rate this 12” mattress a 4 on our 1-10 comfort scale with 10 being firmest. You get the 725 density plush wrapped coil support system that is designed to provide a softer feel, conform to the body and provide deep down back support. This model is preferred by side sleepers and back sleepers that like medium soft. This model also has .5 inches of GelTouch Foam, 1 inch of AirCool Foam, 1.25 inches of AirFeel Foam plus the SurfaceCool Fiber for a comfortable sleeping temperature. You get a 360 degree 4” foam encased edge for added edge support so you can sleep right to the edge without feeling like you are rolling out of the bed. This model is adjustable bed base compatible. If you like a medium soft feel at an affordable price, then you’ll love the Simmons Beautysleep Carter Plush Mattress.